WordPress offers more solutions than meet the eye. But what about advanced development? This case study features React and the REST API as preferred solutions. This Case Study is published by the Make WordPress Marketing Team, provided by 24HR, a Digital Agency located in Stockholm, Sweden. Expohouse, a full service trade fair retailer, was looking to have their site redesigned. Expohouse wanted a platform to support future development of interactive services coupled with the ability to update and edit the website. They needed a content management system (CMS) that was also a robust platform. To build out the site, 24HR wanted to use the full power of React and WordPress without having to rely on complex custom coding solutions. The biggest challenge of this project was data retrieval. It needed to be done efficiently including custom queries, metadata, and term relations. 24HR is committed to the open, free, and well-supported platform that WordPress provides. Not only does it make things easier for both the developers and their clients, WordPress reduces costs considerably for both current and future investments. Constant updates, steady streams of new content, and a living community made WordPress their CMS of choice. One of the benefits of WordPress is its extensibility. It’s no different with the REST API endpoints. 24HR extended the REST API endpoints, easily allowing retrieval of specific pieces of data. 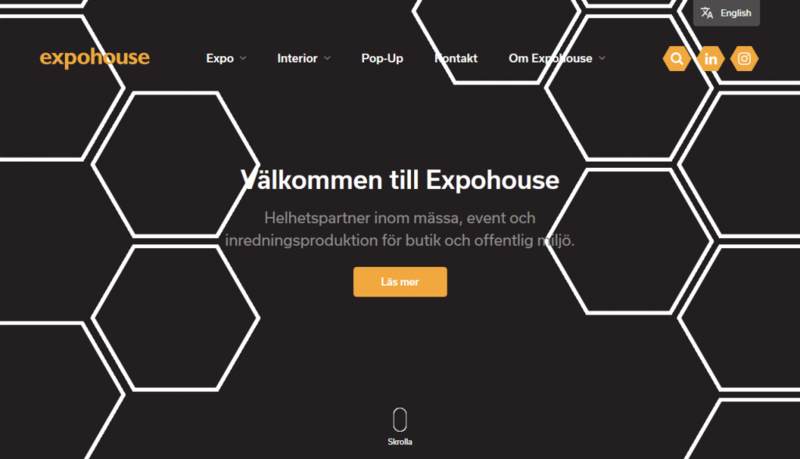 They designed and created the new website for Expohouse to showcase their fair-trade business, putting their services, products and experience in focus. To complete the project, 24HR used their own custom routing framework, which they have plans to release to the WordPress community. Using their custom React framework that selects the necessary page templates, 24HR provided their client with a fast, future-proof solution. This solution reliably provides the relevant data for every component on the site. We are interested in creating WordPress blogs for our clients for Pelcro. Are there any guides on how to automatically create a WordPress from user interface ? ← Why Should Developers Choose WordPress?